This entry was posted in Allowing, Change, Focus, Life, Nature, Photography, Water and tagged business consulting, Ease, flow, focus, Focus Forward, Peace, personal consulting by Crystal Nuding. Bookmark the permalink. I find this very interesting considering my medical problems and the fact that on Sunday I will turn 60. I have been on a roller coaster ride for a few weeks now. Reading this makes all that up and down a smooth road. It takes someone like you writing from your heart to express such a great thing that as a human race we tend to leave behind at the door of self pity. We need more uplifting and supporting from people like you who can put into words the necessary tools to change a negative into a positive. Great post. Love Lincoln’s quote too. Thank You for helping through a hill in my journey of life. Thank you so much for your kind words. I am happy to have offered words of comfort and encouragement when you needed them. I am sending you healing, soothing, peace, ease and flow! Seeing your absolute perfect health, wellness, happiness and vitality! Have a great Friday and an excellent week-end! Thankfully, I had this kind of attitude when I lost the vision in my left eye as a result of cataract surgery. It was a very humbling experience, but I was able to focus on the many years of full vision I had enjoyed. I thought of the countless people who have never seen the beauty of God’s creation and how blessed I was to have wonderful memories in the event I became totally blind. Keep looking FORWARD! Sending peace, ease and flow to you! Thanks for the reblog, Alex! I look forward to reading more of your blog. I love the feel! Have a great day! Really enjoyed this post and such wise words. It’s easy to be negative when life feels like it’s being turned upside down but so important to focus forward and take a more positive view to move on and centre yourself. Thank you. It sure can be difficult to focus forward at first, but boy oh boy, how much better life is when we do! Was this photo taken near a place called Bijagua in the North of Costa Rica? I took a photo from the very same spot I think! Maybe it’s just somewhere that looks very similar 🙂 YAY! 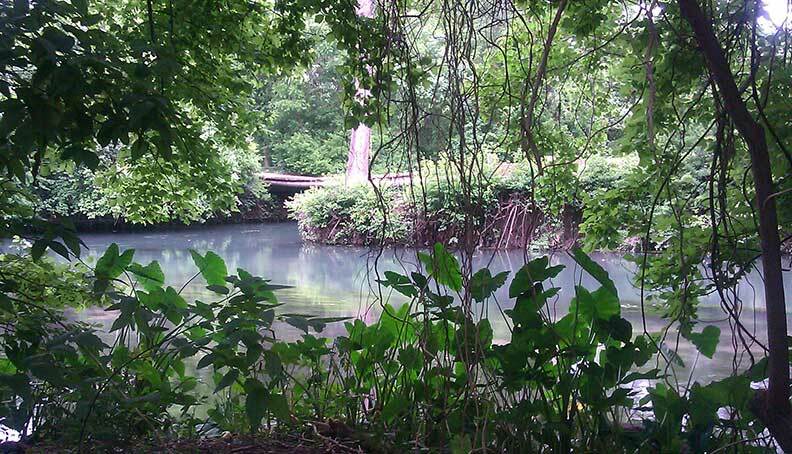 This picture was taken on the San Marcos River here in Texas… it’s actually a park right in the middle of town. I love that it looks like Bijagua!